The USA is renowned for having all things big and ostentatious, and the US ski resorts are no exception. 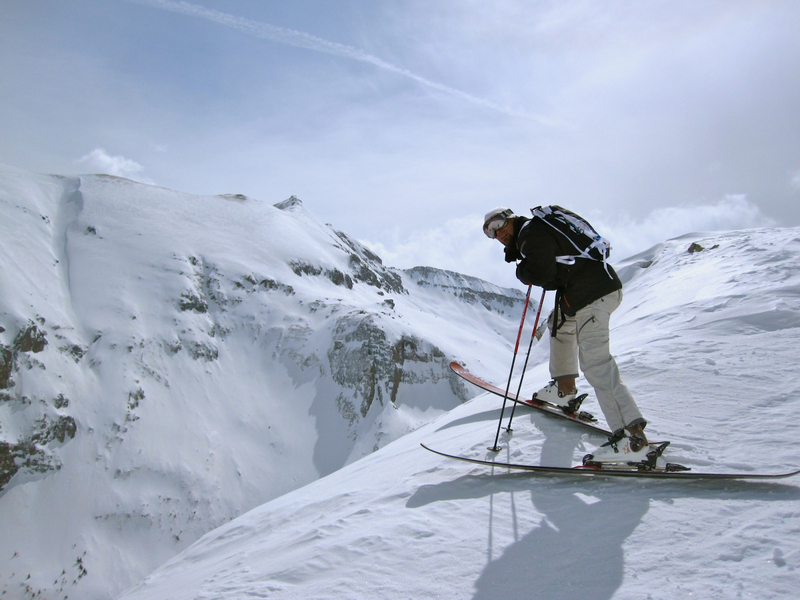 Many of the USA ski resorts are mega-large and have over 1,000 hectares of skiing terrain. The associated profile of many of the US ski resorts is also large such that they have become household names in the skiing industry. Aspen Snowmass, The Power of Four – Aspen,Snowmass, Aspen Highlands and Buttermilk. At one end there is Aspen whose reputation precedes it and its name is synonymous with glitz, glamour unparalleled skiing and spectacular mountain scenery. Aspen Mountain, the flagship mountain of Aspen rises imposingly out of the heart of downtown.Aspen is regarded as America’s prime winter resort, with Aspen accommodation amongst the world’s best. Famous for its steeps, bumps, double black and tree runs – all fun for riders and skiers alike. Aspen is a small town rich in history combining stunning natural scenery with world renowned dining, entertainment, outdoor recreation, world class cultural attractions and exceptional shopping. Après ski is a vital part of any winter holiday, and Aspen pulls out all of the stops. Sophisticated social spots, comfy cigar bars to trendy cocktail lounges and high society shopping complete with celebrity spotting opportunities. One lift ticket covers the four unique mountains of Aspen Mountain, Aspen Highlands, Buttermilk and Snowmass. Each mountain boasts premier skiing for all levels on the highest lift-served vertical in the U.S.A.
Breckenridge has a colourful history and a modern sense of fun. The old mining town history is mixed into a community of friendly locals whose passion for living in the Rocky Mountains is evident by the smiles and excitement that greet you. Where ever you go – you will feel welcomed! Here you will find the perfect balance of what makes a ski vacation great. When is come to snow sports, Breckenridge is acknowledged as one of the finest places in the USA to experience them all and it has a reputation for being the best place to learn to ski, with more than 600 professional instructors and gentle beginner slopes. Combine a great mountain with a vibrant town and you have a truly fantastic destination! The beautiful Telluride is nestled among the highest concentration of 14,000’ peaks in North America. The spectacular scenery is undeniably some of the most beautiful in the Rocky Mountains. The town of Telluride is situated in a box canyon with towering mountains on three sides. The town began as a mining settlement in the 1880’s. The ski area was built in the early 1970’s and the town quickly became a haven for skiers and snowboarders. Today, Telluride’s quaint shopping district and incredible skiing has made it America’s greatest ski town. Vail, Colorado has gone from humble beginnings to become one of the leading ski destinations in the world. In short, Vail is enormous with 5,200 acres of amazing mountain terrain. Vail, one of the world’s most celebrated mountains with a magical village as charismatic as it is cosmopolitan. Vail is all about superlatives. The skiing is superb and widely regarded as the best in the States. Seven wonderful back bowls provide unbeatable powder and from its miles of groomed cruisers to its untamed back bowls – Vail has it all. The village itself blends the best of US hospitality with a real European charm – atmospheric bars and rustic restaurant line the narrow pedestrian streets whilst in the evenings the village has a real buzz., and Vail accommodation offers a wide range of quality options to suit even the most discerning ski enthusiast. You’ll discover a world of difference in your Colorado vacation experience. Ski five ski resorts with one ticket and access four premier all-year-round resorts within an 81 kilometre radius – Vail, Beaver Creek, Breckenridge and Keystone. Heavenly. It’s not for the faint of heart. With a massive mountain full of off-the-gride terrain and incredible views of the sapphire-blue waters of Lake Tahoe, Heavenly is one of the most unique snowsports resorts on the planet. It’s for those who want to go big and forge their own path. And with high-octane, non-stop nightlife, it’s also for those who want to push their limits well into the night. The choices are endless. Do you ski California or Nevada? Will it be 34 miles / 55 km of wide-open, groomed cruisers, 1,600-foot plunges in the double-black-diamond canyons or the most outrageous tree skiing in North America? Or do you save your energy for the ultimate après ski party, Vegas-style nightlife, all-night dance clubs, world-class entertainment and five-star dining? When you come to Heavenly, you better plan to go “all-in” because Heavenly is for those who are up for first chair and are still going strong after last call. At Heavenly, you play hard and sleep when you get home. No mountain is better named than Mammoth. When you stand at the base lodge and scan the mountain, you can’t even see a quarter of the ski terrain.Mammoth’s timeless equation is ‘high alpine bowl skiing, roof tops of spring snow and professional partying’. A place once abandoned because of its heavy snowfalls, a $1 billion investment on lifts and accommodation will return Mammoth back to prosperity and skiing’s elite. Wide open bowls, steep chutes, impeccably groomed trails, variety of terrain for all abilities and its immense size are all reasons why Mammoth Mountain is consistently voted one of the top Resorts in North America. Mammoth has a great mix of places to eat. Home grown restaurants and cafes, classis resort dining rooms, ethnic cuisines and pubs will satisfy your changing moods and cravings. Mammoth has a laid back Californian style apres scene! For the modern family that prefers substance with a unique, laid-back style, Northstar California Resort combines California cool with high-end luxury, on-mountain exhilaration with a sophisticated alpine village atmosphere. Halfway between one of North America’s coolest mountain towns and one of the world’s most beautiful alpine lakes, Northstar is a destination on the rise, having poured nearly a billion dollars into creating Lake Tahoe’s premier luxury snowsports experience. Upscale shops,refined dining and Lake Tahoe’s only five-star slopeside lodging is married to impeccable grooming, incredible tree skiing and enough variety to challenge every level of skier (and world-class terrain parks to keep the kids busy). If you’re someone who’s looking to experience ski terrain and a culture, made famous by ski heroes of the past, then a Squaw Valley ski vacation should be right up your alley. Plus, this Lake Tahoe ski resort offers plenty of lodging and dining options to suit everyone’s off-mountain interests. At the base of the spectacular Grand Teton Mountains in Wyoming, boasting some of the finest conditions and best downhill skiing and riding in the country. From natural wonders to cultural sophistication, Jackson Hole speaks to a wide spectrum. Athletes and artists alike are fueled by the mountains and the lifestyle they foster. Passion pervades Jackson – for sports and arts, for wildlife and wilderness, for the land and livestock, for the place and its people. Jackson Hole is a ski Mecca that every skier must visit at least once in their lifetime. A unique combination of a spectacular mountain with the longest vertical decent in the USA and a town that is a throwback to the frontier days of the Wild West – this is Jackson Hole. With 2,500 acres of in-bounds terrain and a summit elevation of 3185 meters it is truly an amazing place!